With more and more people getting access to cell phones and other smart devices these days, push notifications should be an integral part of your mobile marketing and indeed, your larger digital marketing strategy too. Mobile marketing is all about creating personalised content that breaks through the clutter and speaks directly to the user, and while some people might consider push messages to be an annoying interruption, when they’re done right, they really can boost conversions. In this article, we’re going to take a look at how you can use them to reach out and engage with customers in real-time. The bonus? They’re free. 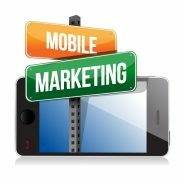 So, how can you go about making the most of your mobile marketing? Rather than just viewing push notifications as an opportunity to engage inactive users, try to find innovative ways of delivering valuable information and unique experiences for your users. Segment your users based on their profiles, in-app behaviours and known information, then start personalising your messaging for increased click rates. From engagement to revenue or lifetime value, long-term conversion or retention, defining your key performance indicators will help you to understand the real-time impact as well as the long-term benefits of the campaign. As with any form of digital marketing, finding the best time to send a push message can mean the difference between a user opening a message or not. Research indicates that there is little difference between days, but that the time of day is of far more significance, with messages sent before 1 pm having the best results. Of course, it’s important for you to carry out your own tests to find out the best times for your notifications, as this might vary from audience to audience and time to time. As digital marketing consultants, we’re able to offer a full spectrum of services that include content marketing, SEO and social media marketing. So, if you’re still trying to figure out where to start, give us a call today and we’ll work with you to create a mobile marketing strategy that’s right on target for your business.